Yoga has been applied with therapeutic intention for thousands of years, and Yoga Therapy is emerging as a discipline in itself. Health care practitioners include yogic techniques in their approach to healing, and more yoga teachers give therapeutic intention to their teaching. 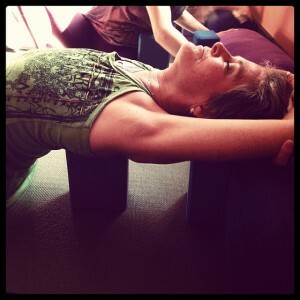 In these sessions, we begin to explore the body in a deeper, subtle way of energy connection to body, mind and spirit. The psycho-emotional effect from movement can only be enhanced with the power of our intention and attention. We will explore the concept of bringing attention inward to balance our outer and inner awareness. May Forces be with us all, to illuminate the darkness, and dispel ignorance and fear. May we work together, with compassion and collaboration. Physical movement shows an external display of Yoga, yet Yoga is not limited to this external movement. Asana practice strengthens bones and muscles, internal organs, and affects the mind and temperament. Coordination, cooperation and collaboration are needed with every flow of hand, eye, body, foot and senses. Please write a short summary (400-600 words) of tips and techniques you learned about Gross and Subtle Body. Throughout our lives, we are enticed by that which promises happiness, success, love, good times, power, etc. The paradox is that we never really get true happiness, as we look for it in these places. We look for things that satisfy outside, not inside. In the Katha Upanishad, the body is the chariot, the five senses are the horses, the intellect is the charioteer, the mind is the reins, and the Self is the rider who rides the chariot. We need detachment to see clearly, and discrimination to know what is of lasting value, and the will power and determination to put our insight into action. There is ‘preya’, material happiness when the senses are pleased, and it is external, transient and ultimately disappointing and causes pain. Another option is to follow that which benefits others too, and is described as ‘shreya’. This is internal as well as shared happiness is obtained when one makes a choice intelligently and with discernment. Preya and Shreya are two choices we have to make at any given time. Consciously or unconsciously, we choose either Preya or Shreya, and they go in opposite directions. What Does the concept of Preya and Shreya mean to you? 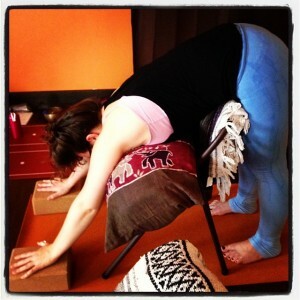 What lessons are valuable and applicable to our yoga practice?